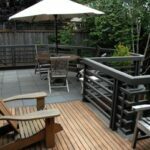 The spaces between decking boards on outdoor decks are meant to serve an important function—namely, drainage. They help to prevent puddles from forming and enable the surface to dry more quickly after rain and snowstorms. Along with routine waterproofing application, spacing between boards helps to prolong the useful life of the decking material. 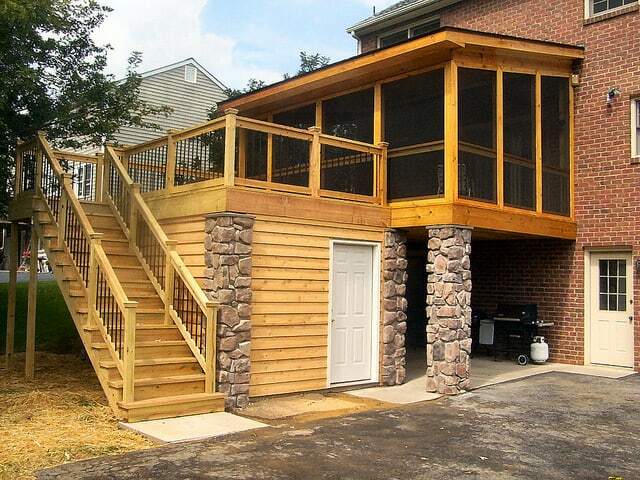 But if you want to use the space beneath a deck for additional outdoor living or storage space, it’s better to install a barrier that prevents water from draining to the surface directly below. 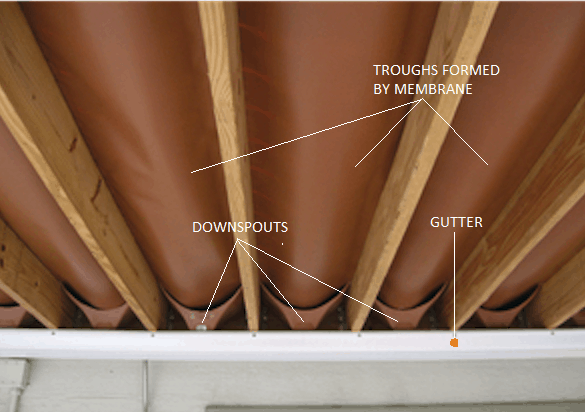 The dominant solution for waterproofing areas below decks is to drape plastic membranes within joist spaces below decking to form troughs. 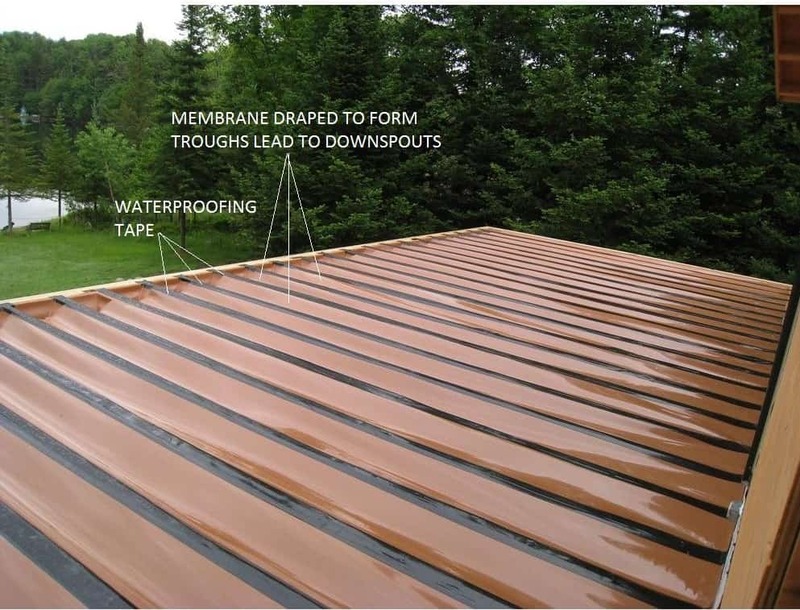 The Trex RainEscape deck waterproofing system, shown below, is an example of a membrane-and-downspout system. Dexedry rubber flanges fit into flanges grooved into the edges of decking boards. 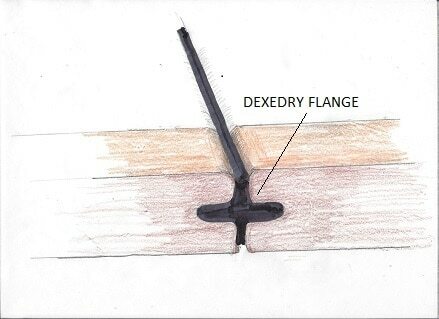 Dexedry flanges are available in a number of sizes that match the edge grooves found on major synthetic decking brands. The edges of wood decking boards can be milled with a dado blade, shaper or router to accommodate the flanges. Michael Chotiner is a home-improvement expert who has owned his own construction business and who is also a master carpenter. 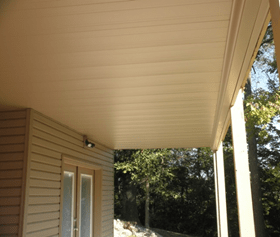 Michael writes on homeowner DIY projects and how-tos for Home Depot. 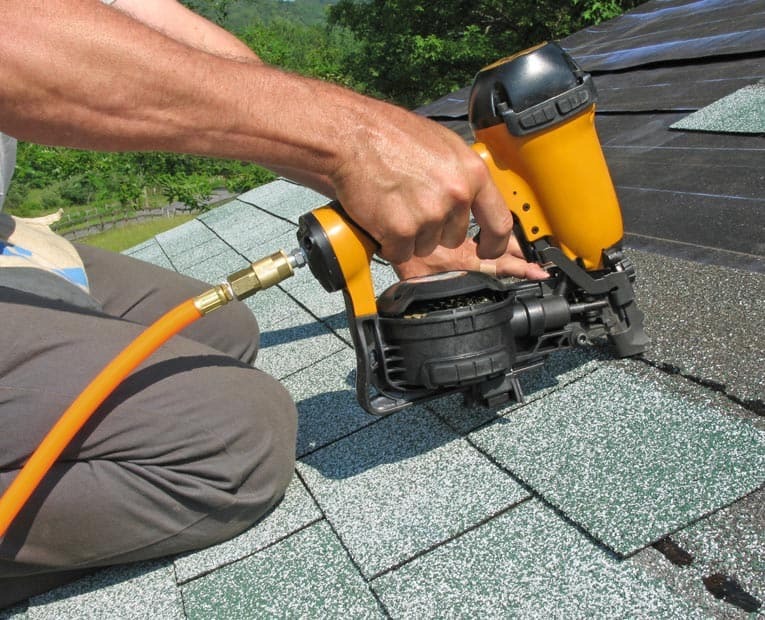 For a selection of tools you might use if you are planning to install waterproofing on an outdoor structure, you can visit the Home Depot website.